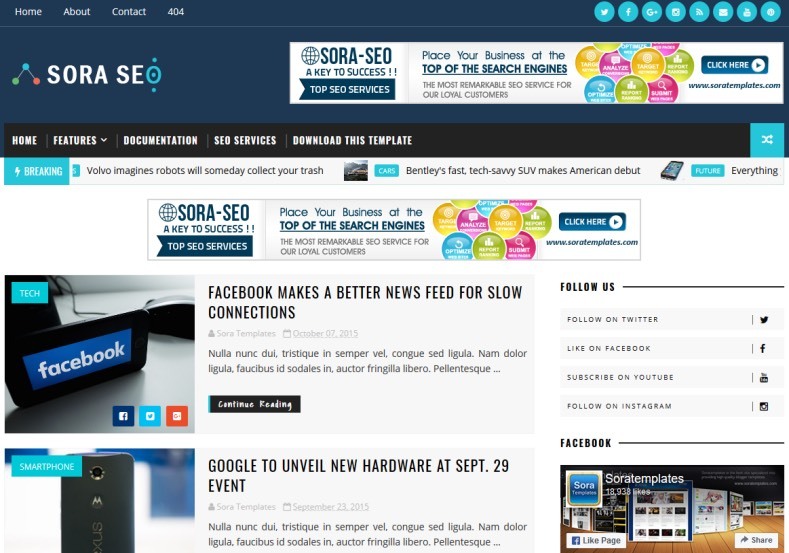 Sora Seo Blogger Template is a smart and clean Blogger theme, fully responsive, suitable for any personal blog. Packed with customization options, your blogging experience will be as simple and pleasant as possible. Your readers will be attracted by an elegant and modern presentation and well-structured posts.